The upcoming tablet is designed for home use. The info is revealed by German website WinFuture. Over the specs, Yoga Tab3 Plus features 10.0 inches IPS LED touchscreen display with a high resolution of 2,560 x 1,600 pixels. This tablet is powered by a Qualcomm Snapdragon (SD) 650 chipset processor clocked at 1.8 GHz. The display is not providing impressive visuals to the user in spite of having such a high-quality pixel density. Other specs revealed that the device supports 32 GB internal memory can be expandable using a microSD card. This device has a battery back-up of 9,300 mAh which can provide 18 hours of stand-by on a single time charging. There is a 13 MP rear camera in the device which can record videos at 1080p. also, there is a USB type-C port which acts as a reversible connector. On the front side, there is a 5 MP camera for selfies and video calling facility. In terms of looks, the leaks said that the tablet will be a combined product of metal and leather. It is expected that the tab will contain the metal body and grainy leather back. The tablet runs on Android OS v6.0 out of the box which will be upgraded to Nougat v7.0. The tab is enriched with JBL speakers for an amazing quality of sound. The rumour about the built-in projector in the device is expected to be false. Other connectivity options are also available in the tab like WiFi, Bluetooth, GPS and a type-C USB. The thinness of the device is about 4.7 mm making it the thinnest tab of all the time. The device weighs about 683 gms. It is expected that the base price of the WiFi version of the device is $390 and for the LTE version, the price is about $450. 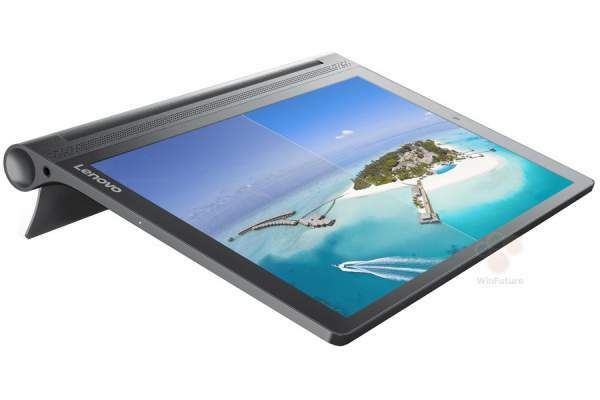 It is expected that the Lenovo will launch new and exciting gadgets at the upcoming IFA event in Berlin. Hope you like all the upcoming devices in the IFA event. For more updates, Stay tuned . And leave a comment for any related query. Hope you like the provided information.